Bend the knees towards the chest. Wrap the hands around the legs. Push through the heels, toes and ballpoints of the toes. Stretching through the heels will result in a much deeper stretch along the legs and back but extending through the toes stretches tibia muscles and the ankles. The legs also come down a little more creating more of an angle at the hips. 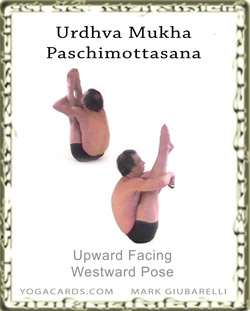 Practice this pose against a wall. This is a great hamstring and lower back stretch. This is a great posture to add to a class for fun. Students are rolling over trying to get in the pose which provides entertainment for everybody.